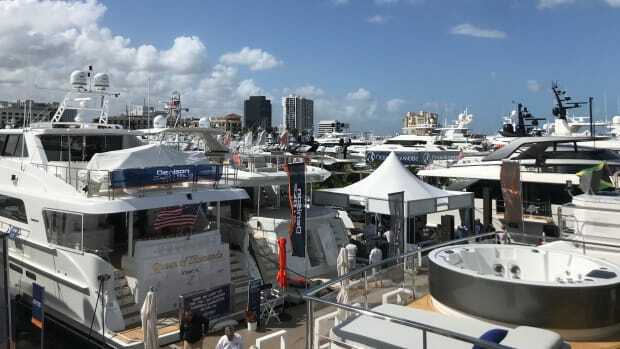 The 30th Palm Beach Beach Boat Show opens its doors to visitors today and offers plenty of boating life activities appropriate for the whole family. 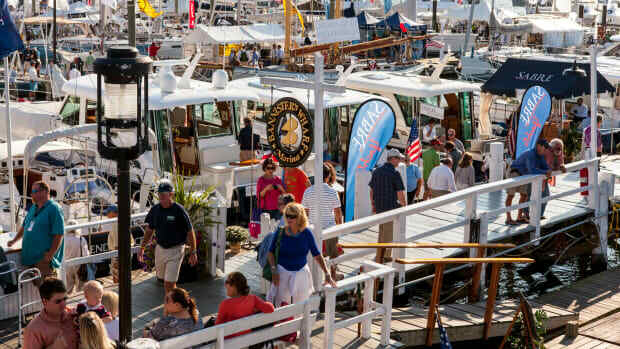 In addition to a wide selection of watercraft and marine accessories, the 30th annual Palm Beach International Boat Show offers fun for the whole family, including live musical entertainment, fun-filled special events and educational activities for boaters and anglers of all ages. For a complete list of seminars and special events please visit www.ShowManagement.com. Anglers who want to sharpen their skills and learn new techniques should check out the International Game Fish Association (IGFA) School of Sportfishing at the Palm Beach International Boat Show. 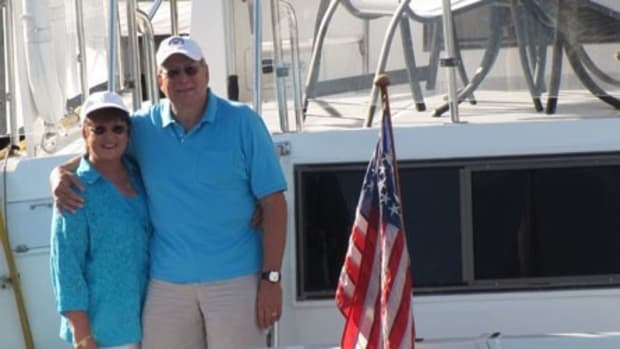 South Florida&apos;s best captains and professional anglers share advice and the latest sportfishing tips, techniques and tactics during 14 free seminars taking place throughout the weekend. Topics include dolphin trolling techniques, sailfish strategies and secrets, successful swordfishing and more. For the first time ever, on-the-water training workshops will be available at the Palm Beach International Boat Show. Presented by U.S. Coast Guard licensed captains who are certified instructors from the Powerboat Academy of Florida, the one-hour and three-hour workshops will focus on boating skills such as basic close quarters maneuvering, anchoring and multi-vessel rafting techniques, open water boat handling and seamanship, and first mate skills. Space is limited and advance registration is recommended. Registration costs $20 in advance and $25 at the show for the one-hour workshops, and $99 in advance and $125 at the show for three-hour workshops. 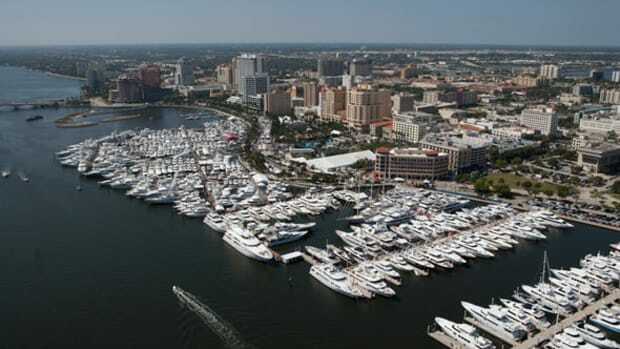 Boat show admission for the day is included with advance registration. Onsite registration will be offered at the Hands on Skills Training Center, located next to the Come-by-Boat docks, on a space available basis. For more information and to register in advance, visit www.ShowManagement.com. The always popular Kids&apos; Fishing Clinics, presented by the non-profit organization Hook the Future for little anglers ages four to 16, take place on Saturday, March 28 and Sunday, March 29 at noon and 2 p.m. at the Meyer Amphitheater field inside show grounds between Datura and Evernia Streets. Each free session runs approximately 45 minutes, beginning with a 30-minute, classroom-style discussion of basic fishing techniques, tackle and safety. The clinics close with a question-and-answer session before children enter a casting area where they are taught how to cast properly. Each child goes home with a bag full of gear to make their next fishing trip lots of fun. Kids receive a free rod and reel set while supplies last, and all children have a chance to win great prizes. Florida Freedivers is offering Palm Beach boat show attendees a $50 gift card when they sign up for a freediving instruction course. The company now offers a level two Freediving Instructors International (FII) freediving certification course. Visit Florida Freedivers at booth 332. 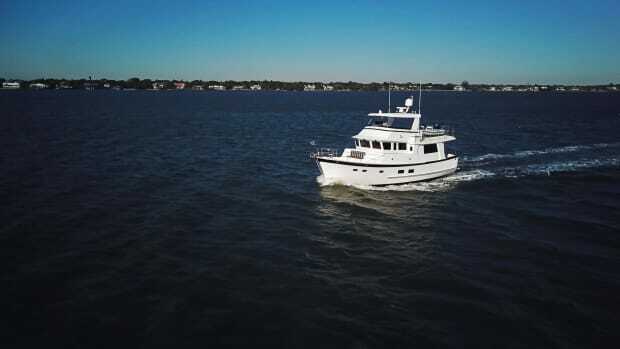 Located at booth 636 in the Clematis tent, Boatsetter will be offering a raffle for a free half-day captained charter trip. 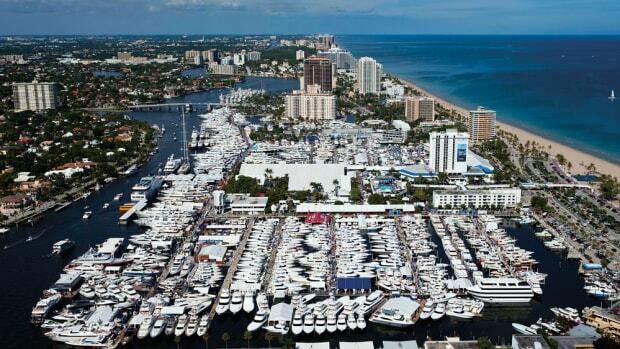 All people who register on the BoatSetter website during the Palm Beach International Boat Show will qualify. Visit www.Boatsetter.com for more information. 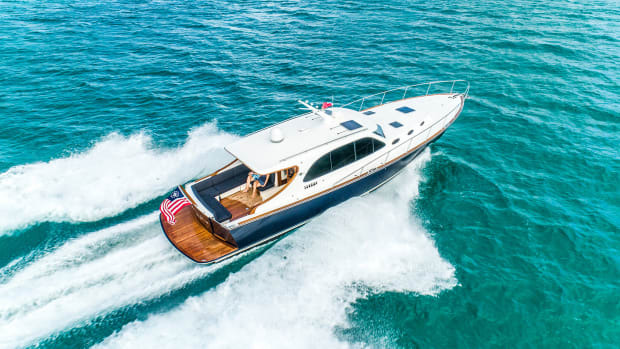 The Lands&apos; End Getaway Tour is making a stop at the Palm Beach International Boat Show, offering complimentary professional swimsuit fittings, style tips and a chance to shop for the latest swim looks from Lands&apos; End. At the Getaway Tour event, Lands&apos; End Swim Fit Experts will be available for personalized fitting sessions and one-on-one swim silhouette consultations. Based on a series of measurements including bust, hip, waist and torso, attendees will be assisted in finding a perfect swimsuit fit. Lands&apos; End offers a vast assortment of swimsuit sizes to fit every body from size 2 to 26W, ranging from regular and petite (short torso) to tall (long torso) and plus sizes. Lands&apos; End also offers swimsuits by bra size including D, DD and DDD and mastectomy styles. In addition to finding their perfect fitting swimsuit, attendees will also have a chance to get styling tips and learn about the latest swimsuit trends from Florida-based style expert and fashion consultant, Melanie Pace. Pace will be on hand to answer swimsuit questions, offer styling tips, and discuss the latest swim trends. Getaway Tour attendees can learn more about Lands&apos; End Swim Tees and take part in the Sun Safety Pledge, a joint effort between Lands&apos; End and The Skin Cancer Foundation to educate consumers on the importance of sun safety as well as how to take sun safety precautions. For every attendee that signs the sun safety pledge, Lands&apos; End will donate $1 to The Skin Cancer Foundation (up to $25,000). Those unable to attend the events can sign the pledge via social media with hashtag #LandsEndSunSavvy. 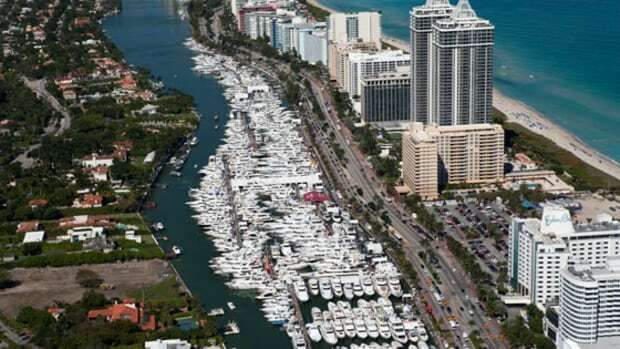 The Palm Beach International Boat Show is owned and sponsored by the Marine Industries Association of Palm Beach County, Inc. (MIAPBC), managed and produced by Show Management, presented by Palm Harbor Marina and co-sponsored by Gosling&apos;s Rum, Yachts International Magazine, Smallwoods Yachtwear, GEICO, Budweiser, Land&apos;s End and The Palm Beach Post. 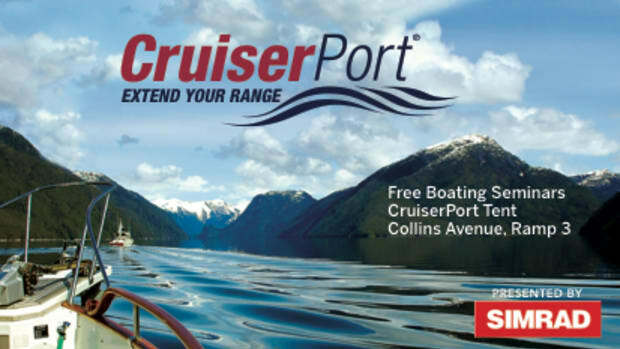 For more information including parking and transportation maps, boat lists and more, visit www.ShowManagement.com or download the show&apos;s free and convenient smartphone app, MyBoatShow, available on iOS and Android devices. Guests can also call Show Management at 954.764.7642 or 800.940.7642. To make travel arrangements, contact the show&apos;s official travel partner, BoatShowHotels, at 866.877.3083 or visit www.boatshowhotels.com. 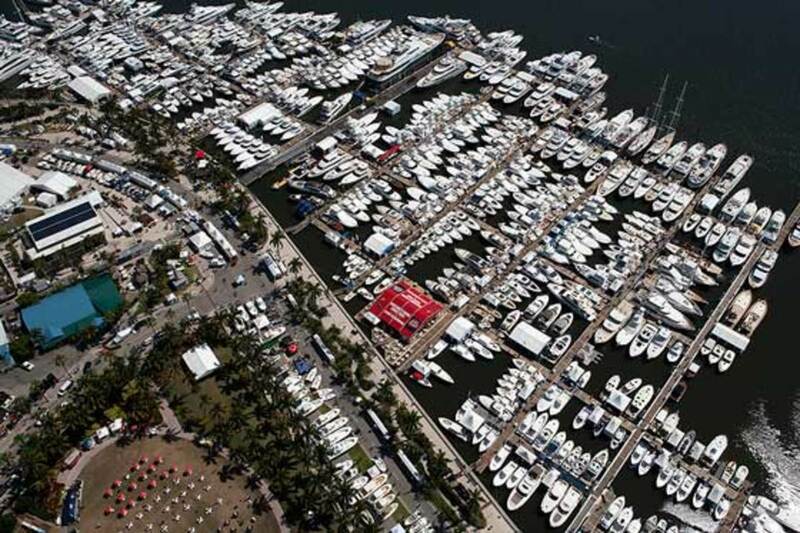 Follow the Palm Beach International Boat Show on Twitter at twitter.com/boatshowupdates, tune into Boat Show TV at youtube.com/showmanagement, and like the show on Facebook at facebook.com/PalmBeachInternationalBoatShow.